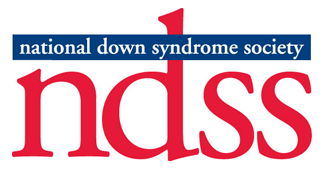 The Capital Area Down Syndrome Association (CADSA) established a Scholarship Fund to provide financial assistance that directly improves the life of the individual with Down syndrome. Appropriate areas of use include education, recreation, medical and therapeutic services, for members with Down syndrome. The funding for scholarships comes from donations and fundraisers. Scholarships are awarded based on the availability of funds, which varies based on the amount of funding raised. Scholarships are awarded on a first-come, first-serve basis. Scholarships are not based on the financial status of the family and will be awarded once per calendar year per individual with Down syndrome. A minimum of ten (10) volunteer hours is required. The volunteer requirement must be completed to receive the funds. The volunteer hours must be completed by November 15th within the same year as the scholarship request. The deadline for application submission is on or before December 1st within the same year as the scholarship request. Receipt of a scholarship in one year, does not guarantee receipt of one the following year. You may earn up to the maximum of $400 per member with Down syndrome per calendar year. To apply for a scholarship, you must be a paid member of CADSA and complete 10 volunteer hours for the current year. Complete the attached application no later than December 1st of the year you are applying for. Once your application is received, the Scholarship Committee will review it and determine if the applicant is eligible. The Scholarship Committee will notify the family in writing with an explanation of the decision. If a favorable determination is made, CADSA will process the scholarship funds when a reimbursement form is submitted with a receipt.